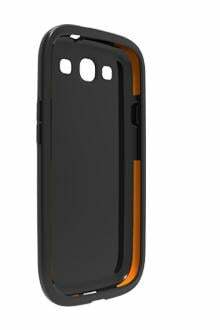 The Tech21 Impact Shell is a unique protective case for your Samsung Galaxy S III in that it features a secret sauce. No, we’re not talking about Thousand Island dressing or anything like that. In this case, Tech21’s special ingredient is their D3O technology. D3O is a patented protective material that combines enhanced chemistry with product engineering to produce high performance shock absorption and impact protection solutions. In a nutshell, this patented material is flexible and malleable to push or bend. Drop it or smack it, however, and it locks up tight for a split second and then back to normal. This is what makes the Impact Shell so cool. You can bend and flex the case whenever you want, but it hardens in an instant to prevent your beloved phone from taking the brunt of a drop. The Impact Shell we tested performed admirably in our day-to-day usage, protecting the important parts of our Galaxy S III. It’s a very light and thin skin that’s perfectly cut to fit your handset, leaving spaces for your ports, microphone, etc. In spots where you have buttons (volume, power), the shell is raised ever so slightly. Aside from a little extra effort in the power button, we didn’t have any problems with response to touch. In fact, we noticed it got easier over time. If there was one thing that bothered us about the Impact Shell it’s that it makes the handset wider by roughly a quarter of an inch. This was an issue for us on two fronts; in-hand and in car docks. While the Galaxy S III didn’t feel any thicker in hand, it’s just enough to make it wonky for one-hand use. With navigation buttons across the bottom of the screen, our hands felt tiny trying to reach for the opposite edges. Placing this into a car mount was also problematic as it makes for a tight squeeze. Even the Arkon kit we have, with its adjustable width, was too snug for comfort. 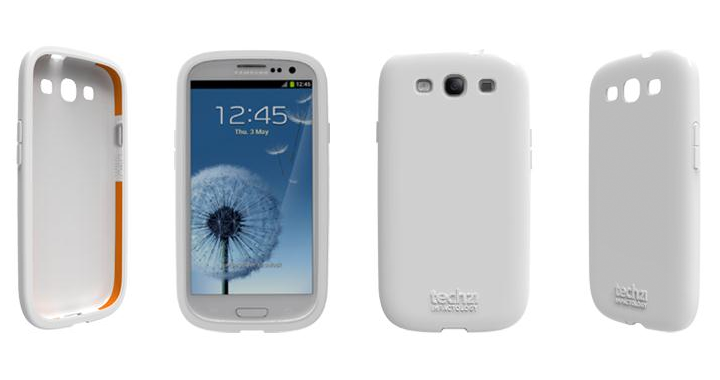 You can purchase the Impact Shell for your Galaxy S III at Tech21’s website for £29.99 where it is offered in a variety of colors. 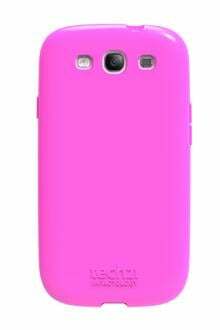 Take a look around the website and you’ll find a number of cases and designs for the Galaxy S III and other smartphones. We also recommend checking out Amazon where you can find multiple products.